Description: ABSOLUTE MUST SEE HOME FANTASTIC LOCATION! 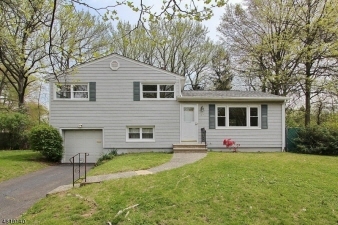 This lovely one owner Split Level style home is located on a quiet tree lined street, in a highly desirable neighborhood that is convenient - to everything: town, premier shopping, top rated schools, parks and NYC transportation. This special home boasts: 3 bedrooms, 1 full bath and an attached 1 car garage. The open floor plan is a perfect layout for comfortable living. This special home features:hardwood floors, formal living room, formal dining room, eat in kitchen, ground level laundry, basement with utility and plenty of room for storage, attic access and so much more! The private backyard with patio is perfect for outdoor relaxing or entertaining. Make it your new home today! Click media link for tour and floor plans! Home Warranty Included!